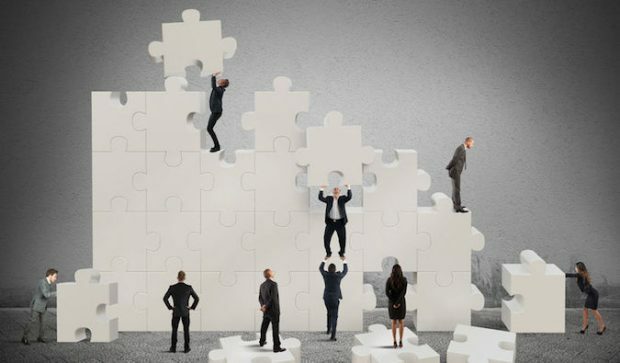 A client and their agency should be like business partners, says Graeme Sanford, with each party committed to the success of the relationship in meeting its objectives. Here’s how to get there. 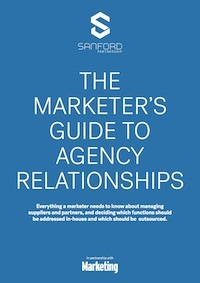 This article was sponsored by The Sanford Partnership to outline the definition of a strong client-agency relationship. A lot comes into client happiness – increased sales, helping build brand and performing well against competitors are just a few factors. Today there is enormous pressure on marketing departments of client companies. Pressure to get things done. It’s been this way for a long time, but today there’s more pressure to deliver results right now. It’s nice to build brands, but a lot of business is now all about ROI. Investing in five-year brand development goals is not a reality for many organisations. They need results and they need them now. There are also people to help them get it done. Why are there so many unhappy clients out there? Advertising agencies are businesses as well, and they too need results and profits right now. So, when it comes time to pitch to new clients, there’s no surprise they fill the room with their top guns. But when clients actually sign on, it’s not long before they find that a lot of those people won’t actually be working on their business. The agency has a lineup of professionally experienced people, but after the business has come through the door, the client is often relegated to less experienced people. Spreading senior talent across so many accounts is one of the biggest challenges for large agencies. As a result, many clients miss out on the attention that they really want and need. This has led to a growing need for agencies that can service a small, select group of large and complex clients. Small volumes of clients and agile structures help each party to get the desired results out of the relationship. Short lines of communication are very important in fast moving businesses. Structuring quick communications makes life so much easier. Issues can be addressed and agencies can get back to clients with a degree of immediacy rather than seeking approvals from a number of account managers and directors first. It’s important to keep the lines of communication very open. We like to be told by our clients when things don’t work – that’s probably more valuable information from which to learn. A good agency wants to get involved with clients at the business level and find out what works for them and what doesn’t. Having an open and honest relationship with a client – and, where possible, getting quantifiable results about what worked and what didn’t – is extremely important to a good agency. We all work in a ‘people’ business. There needs to be a good personal fit with clients and agencies. It comes back to trust. Client-agency relationships built on trust produce great work. Is the relationship built on honesty? Will the agency provide guidance and direction? The last thing you want is a mouthpiece that agrees with everything you say – if that’s what you want, you may as well do the work yourself. You need people who can do the things you can’t – within budget and on time. Look for objectivity from your agency. Expect the best advice possible, and if for some reason you don’t think you’re getting it, there’s an issue. Disagreements are common and need to be addressed. Boisterous debate over things, but an agreement that the finished product will be the best result for the business? That’s perfect. There’s plenty of unhappy clients out there, but the question is, are they unhappy enough to move? There’s a handful factors that can lead to unhappy – or happy – clients, and if someone at an agency can’t pick up on client happiness or unhappiness, they probably shouldn’t be in the job. Agencies put a great deal of time and effort into preparing pitches, learning client objectives, understanding what the client wants and producing great work. After investing all that time, money and effort into client business, the last thing they want to do is lose it. Furthermore, as we all know, it’s much harder to win a new client than to keep an existing one, so client happiness is in their best interest. It’s critically important in maintaining ongoing business, along with the obvious effect on reputation when courting further clientele. Getting everything off on the right foot initially with the right creative people, working together and developing a mutual understanding of business needs and strategies – think about what you can do to get there. 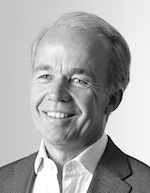 Graeme Sanford, FAMI, CPM, is managing director at The Sanford Partnership. Sanford Partnership is an independent, full service creative advertising agency. To find out more about building brands and achieving results, click here. – Which functions should be addressed in-house? – Which should be outsourced?